If you are looking for romance, some of the best honeymoon spots in Italy offer charm that you will not find anywhere else in the world. Italy proves that small things are often mighty. The country is about the size of some states in the United States, but it’s home to more natural treasures and stunning landscapes than any of those states can boast. You can easily plan a train ride through the country that will allow you to visit all of the big cities in one trip, including Florence, Milan, Rome, and Venice. Italy is also home to charming small towns and villages that look like artwork when captured in photos. If you’re ready to start taking in some of that scenery in person, you may find one of the following locations just perfect for your honeymoon. This is a popular resort area in the Lombardy area of northern Italy that has attracted many celebrities over the years. The lake has three main branches, and the town of Bellagio sits in the middle where all three branches meet. The city of Como rests at the end of one of those branches, and there are many small towns tucked along the water in all directions. This is such a peaceful environment that you can’t help but notice your body relax and your mind start to forget about your problems the moment you arrive. 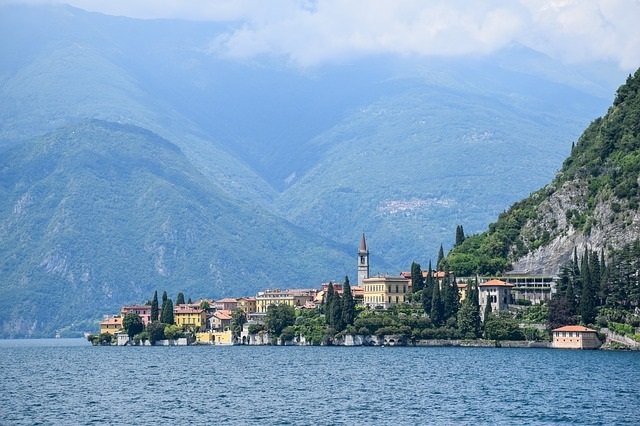 There are hotels and resorts throughout the Lake Como area, so you can stay in a luxury suite with a spa down the hall and amazing views of the water out your window. Some of the must-see attractions here include Villa del Balbianello, Cathedral of Como, Funicolare Como-Brunate, and Faro voltiano. This is a good place to visit if you like looking around and catching your breath because everything is just so beautiful. This is the perfect honeymoon destination for wine lovers. There are many vineyards to tour, and wine tours are easily found. You can also wander along cobblestone streets and stare up at amazing architecture that you will never see back at home. Many honeymooners also enjoy getting lost in the museums, historic sites, and art galleries that Tuscany is well known for harboring. This translates to “Five Lands” in reference to the five fishing towns that are built into the cliffs along the sea. This is part of the Italian Riviera, but it’s a haven for sports enthusiasts. If you want to stay active and do something a little more daring on your honeymoon, this is the place to go for a challenging hike, jump in the water to battle it out with the waves, or enjoy a long horseback ride with your sweetie. Each town offers unique attractions, but the laid back attitude of the welcoming people and the picturesque views are shared by all. 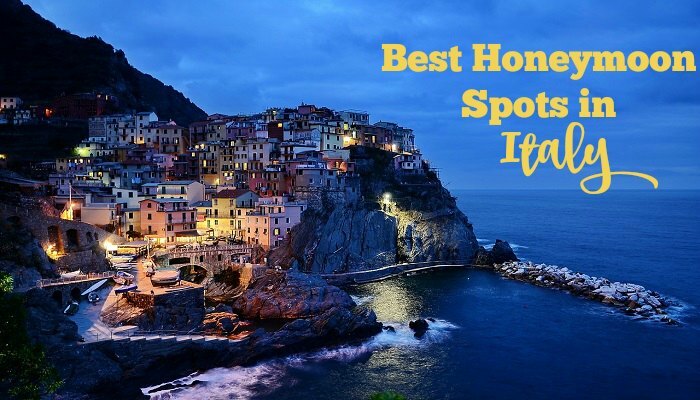 If you’re ready to book your accommodations and plan your transportation, try to relax and do a little planning before selecting one of the best honeymoon spots in Italy for you. Keep in mind that the country is small enough to allow easy movement from one place to another, so you aren’t limited to one hot spot. Spend one day on the beach and the next in the mountains. You’ll end up with an unforgettable honeymoon that exposes you to all sides of Italy.